Matt Spencer, President of DXE Medical, Inc. was featured in TechNation Magazine's January Roundtable discussion, discussing trends in the defibrillator market and advising healthcare providers with strained budgets on how to provide the best defibrillator care. 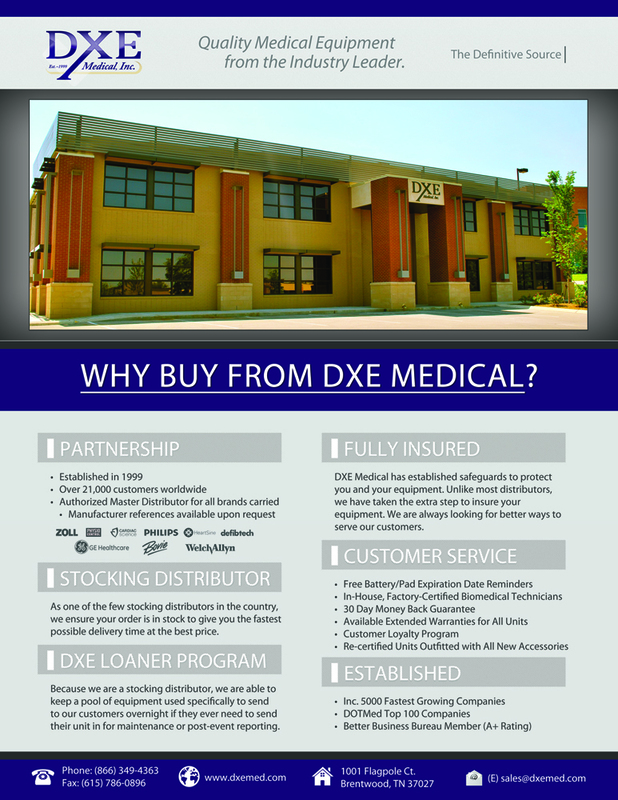 Matt Spencer has been immersed in the defibrillator market since before he founded DXE Medical Inc. in 1999. In this month’s TechNation Roundtable discussion, Spencer and other professionals were consulted for their expertise about the best defibrillator purchasing and maintenance strategies. In the discussion, Spencer was asked to talk about the biggest current trends in the defibrillator market. He explained that although newer defibrillators have taken pre-hospital defibrillation to the next level, the current trend is for organizations to hold on to their equipment longer because of capital budget strains. Spencer pointed out that many hospitals and pre-hospitals struggle with performing ongoing preventive maintenance on their defibrillators and the task often gets overlooked. "It is our job to remind our customers that regular PMs are necessary and make sure coordinate with them in the most effective and efficient way to satisfy their needs," he commented. "We encourage our customers to schedule not only their next PM, but the next several. Our service department provides this scheduling, complete with 60-day reminders, free of charge to all DXE customers."